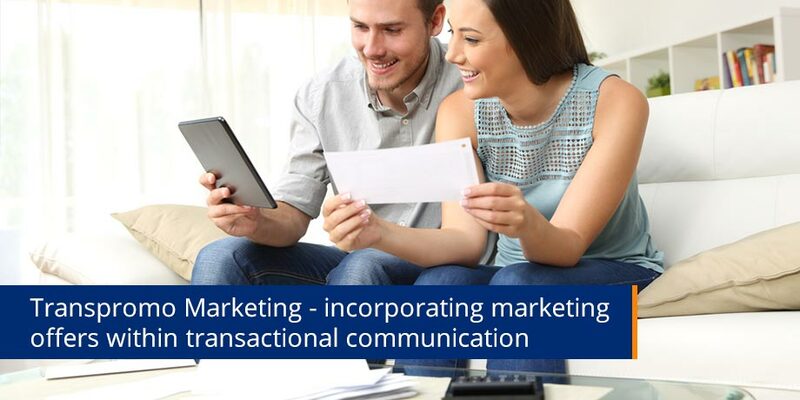 Transpromo Marketing – incorporating marketing offers within transactional communication – has proven to be an effective tool for many industries including insurance, cable and telecommunications, banks and lending services. » Want to experience Striata Electronic Document Delivery and Email Bill Presentment & Payment for yourself? Click here and select the demos to have them sent directly into your inbox. Online payment portals can help facilitate paper turn off and reduce the associated billing costs, but they can also mean losing out on a one-to-one promotional marketing opportunity. Traditionally, customers receive bill inserts or ‘stuffers’, incorporating promotional content, in the same envelope as their transactional paper bills and statements. In most cases, this transpromo marketing opportunity is lost or diluted when a customer opts to view and pay their bill online. A key element in this process is that the biller loses the ability to dictate when and where the offer is made as users are in control of their viewing patterns. In contrast, Striata’s email billing solution provides a sophisticated, customized transpromo messaging capability that collates customer transactional data with profiling information to generate tailored marketing offers. Thus effectively including the promotional material within the transactional communication, not only replacing this lost marketing opportunity but improving it with interactivity and immediate calls to action. Incorporating promotional marketing offers within transactional emails is particularly effective, as it is directed at recipients who are expecting and willing to receive the email. An added benefit is that email marketing is significantly more cost effective than traditional paper bill stuffers. Unlike paper based promotions, billers can accurately track which promotions were clicked on, when, how many times, and by which customers. This type of detailed tracking and reporting facilitates intelligent, revenue-based marketing decisions, derived from measurable customer behavior. Once implemented, the transpromotional document, delivered the way a customer prefers to receive it, represents a strategic tool that reduces operating costs, improves cash flow, generates new sales, maintains customer loyalty and improves a company’s carbon footprint. What about marketing to online bill payers? Striata’s technology addresses the promotional marketing challenges of online bill payment portals by turning simple, plain text transactional emails into revenue generating marketing channels. While there are many ‘touch points’ to Striata’s push eBilling process, the customization of a company’s existing payment confirmation emails can be completed in a matter of weeks, and this offers a unique opportunity to market to customers who pay online. The same functionality that Striata uses to ‘push’ an encrypted eBill to a customer’s inbox can be used to ‘push’ a transpromo payment confirmation email to the customer. Unlike promotions presented on a website, payment confirmation emails can be customized to include relevant, targeted and personalized marketing offers. All commercial emails can (and should) be personalized according to customer demographics, business drivers and marketing criteria. Striata’s advanced profiling engine enables clients to include pertinent promotional offers based on demographic (age, gender), psychographic (income bracket, purchase activity) and usage information, such as current product and service usage, length of service and billing address, as well as customer enquiry behavior.